There are many interesting facts about Colombia, but the history of the country has often been overshadowed as a tourist destination. 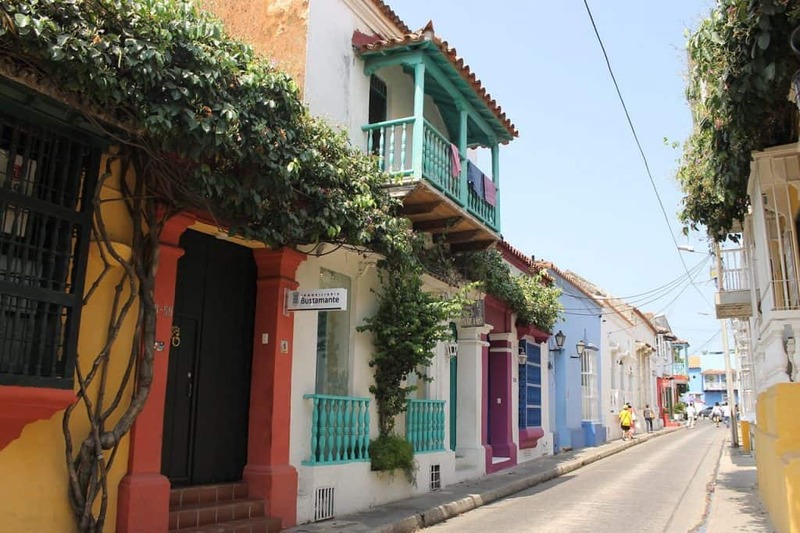 This shouldn’t be the case, Colombia offers diverse natural wonders, delicious cuisine, year-round consistent weather and lots of beautiful villages to explore. There are many things to know about Colombia, including some Colombia fun facts. This article is showcasing 25 facts about Colombia which you may or may not have heard of before. Hopefully, this will give an insight into the real Colombia and inspire you to visit one day. I spent a month visiting Colombia, learning about the culture and food, and getting to know the people. Many people don’t know much about Colombia except what they have heard through the media or what they have heard from other people. The media only portrays what they want people to read and what they believe to be interesting stories. Colombia is now hitting the headlines for different reasons, for good reasons. Many publications including The Lonely Planet, Forbes and other large travel media publications have showcased Colombia as an ideal travel destination for groups as well as solo travelers. It really has so much to offer – check out my Ultimate Guide to Colombia. 1 – Colombia is located in northwest South America, it is bordered with Panama in the northwest, Venezuela, and Brazil to the east, and Peru and Ecuador in the south. Colombia has a population of around 50 million, in an area of 1, 141, 748 km squared (440, 831 miles squared) making it the 25th largest country in the world. 2 – Bogotá is the capital of Colombia, the city is located within a plateau high in the Andes Mountain range, and at 8,661ft (2, 640m) above sea level, it is one of the highest capital cities in the world. 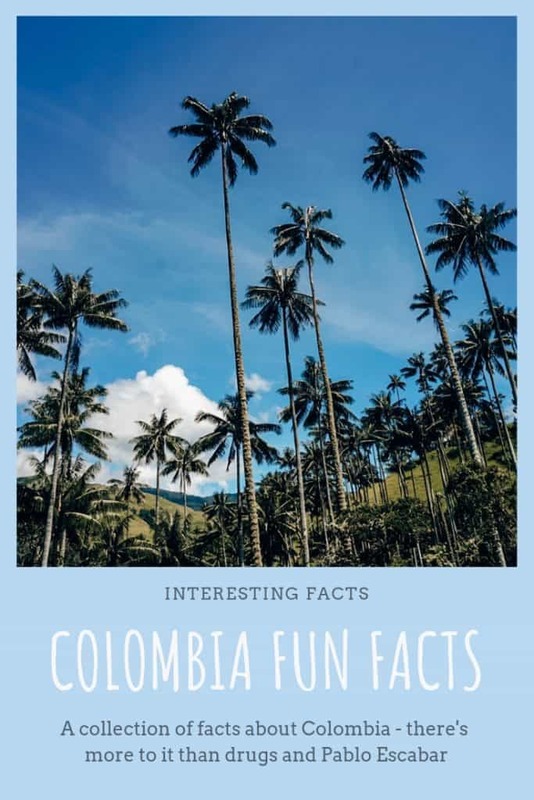 Colombia doesn’t have regular seasons, as the equator runs through the country, instead, it has a climate based on altitude, with dry and wet seasons. 3 – The typical weather temperature in Bogota is around 20c (68f), in Medellin, it is an average of 26c (81f) and in Cartagena, the average year-round temperature is 31c (87f). December through January and July through August are considered the dry season, while April through May and October through November are considered the wet season. 4 – The official language of Colombia is Spanish. Colombia is said to have one of the most neutral Spanish accents, making it easier to understand than other Spanish accents. Compared to other South American countries Colombian Spanish has less slang, and words are pronounced as they sound. English is not widely spoken around the country with only the well educated and multinational company employees speaking the language. The typical waitress, waiter or shopkeeper will more than likely not speak English. 5 – The national currency of Colombia is the Colombian Peso. The Peso is a currency in the thousands, a typical above average meal out would cost around 20,000 COP (£4.85 or $6.33), while a budget meal would typically cost around 10,000 COP (£2.40 or $3.17) depending on which area of the country you are in. Bogota, Medellin, Cartagena, and Cali tend to be more expensive than the smaller towns or countryside areas. 6 – Colombia was once under Spanish rule and became independent from Spain on the 20th July 1810, then Gran Colombia was created in 1819, which included parts of Colombia, Venezuela, Ecuador, Panama, and Brazil until it was split into the countries it is today in 1831. Colombians celebrate their Independence Day every year on the 20th July, with celebrations and parades in the big cities, as well as a national holiday. 7 – Colombia has 9 UNESCO World Heritage Sites both cultural and natural. These sites are the coffee cultural landscape, Santa Cruz de Mompox, the city of Cartagena, San Agustin archaeological park, Los Katios National Park, archeological park of Tierradentro, Qhapaq Nan, Andean Road system, Malpelo Fauna and Flora Sanctuary and Chiribiquete National Park. 8 – The national sport of Colombia is Tejo, which is a game played with a clay rectangle board with a wood border and an iron puck shaped object. The clay filled rectangle has a small pipe circle which is filled with gunpowder. The object of the game is to through the iron puck at the clay board aiming to hit the gunpowder which makes a bang or get the puck inside the middle of the piped circle. All this is done while drinking beer and socializing with friends. 9 – Other popular sports in Colombia are football and cycling. During Colombian national football match the whole country stands still, with everyone getting behind their team and watching the game. Cycling is popular through Colombia with events such as cicolvia taking place each Sunday around the country. Ciclovia is an event held every Sunday and national holidays, between 7am and 2pm major roads around the city, are closed to cars, allowing cyclists to explore the city without worrying about traffic. 10 – The Colombian flag is a horizontal three stripe flag with yellow blue and red color blocks. These are the national colors of Colombia and can be found on the football strip and around the country. 11 – Colombia produces many raw materials and exports large amounts of Emeralds, the country produces around 50% of the Emeralds worldwide making it the largest producer in the world. Colombia is also famous for its coffee production, being the 3rd largest producer of coffee in the world with around 11.5 million bags being produced every year. 12 – Around 500,000 families in Colombia produce coffee and there are around 50,000 small farms all over Colombia. The countries steady seasons and warm environment make it the ideal location for coffee production. In Colombia, you can walk around these coffee farms and sample some fresh coffee straight from bean to cup. 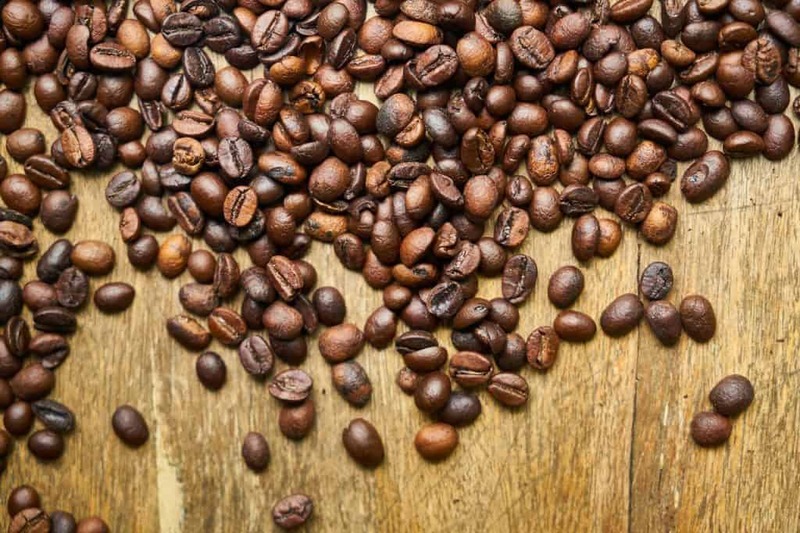 At these farms, you can learn all about the coffee production within the country and learn more about the different varieties of coffee and the regions in which they are produced. 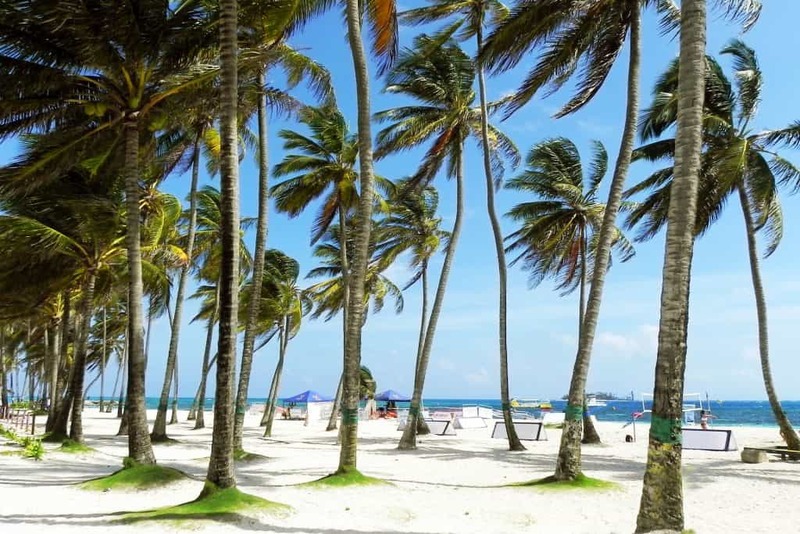 13 – Colombia is filled with natural beauty – tropical rainforests, paramos, mountains, deserts, islands, beaches, and both Caribbean and Pacific coastlines. These areas are all included in the list of 59 natural park areas within the country, these makeup around 11.27% of the countries area. 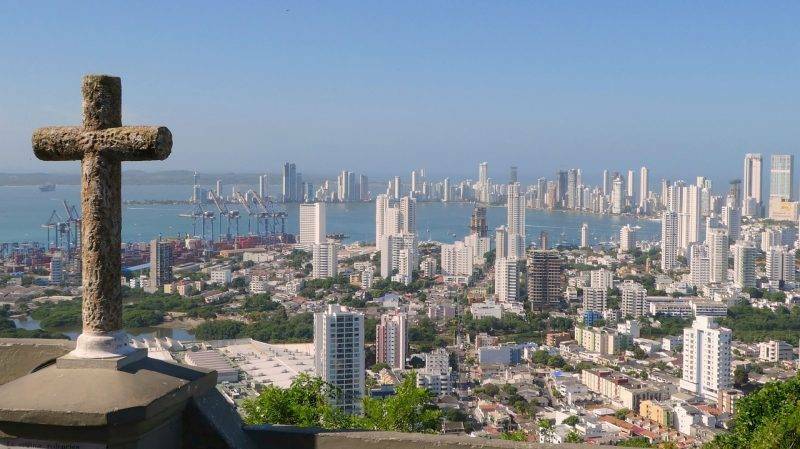 14 – Colombia’s second largest city is well known around the world thanks to Pablo Escobar and in 1991 it was the murder capital of the world, with over 17 murders every day. Since then Medellin has undergone a significant change, with new transport links and a complete urban revitalization of the city. They have implemented state of the art transportation systems which connect the poorer areas of the city easily, allowing for the people who live there better access to jobs. Since then it has been given the titles of the most innovative city in the world (2013) by Urban Land Institute as well as a city to watch in terms of development and growth. 15 – Pablo Escobar was once one of the richest people in the world, he had so much money he didn’t know what to do with it. He couldn’t hide anymore so began to bury it in barrels in the countryside which surrounds Medellin. Many of the barrels were dug up by Pablo’s men but some were only discovered years later by farmers digging into the ground to grow crops. Pablo Escobar built his own zoo just outside of Medellin, on his estate Hacienda Naples (which is now a park), the zoo had giraffes, hippos, and elephants among others. After the dissolution of his estate, the hippos were let out into the wild and the species are still wild in Colombia today. 16 – Around 10% of the Amazon Rainforest is located in Colombia, this covers over 35% of the land in the country. Much of this area is still undiscovered and communities are living how they always have. 17 – Colombia has two desert areas – La Guajira and Tatacoa. La Guaijra is located on the southern most tip of the country and has a beautiful coastline which is perfect for kitesurfing. La Guajira and Tatacoa have indigenous tribes who inhabit the area, here you can learn all about the tribes and see how they live. Tatacoa is known as being one of the best stargazing spots in South America. 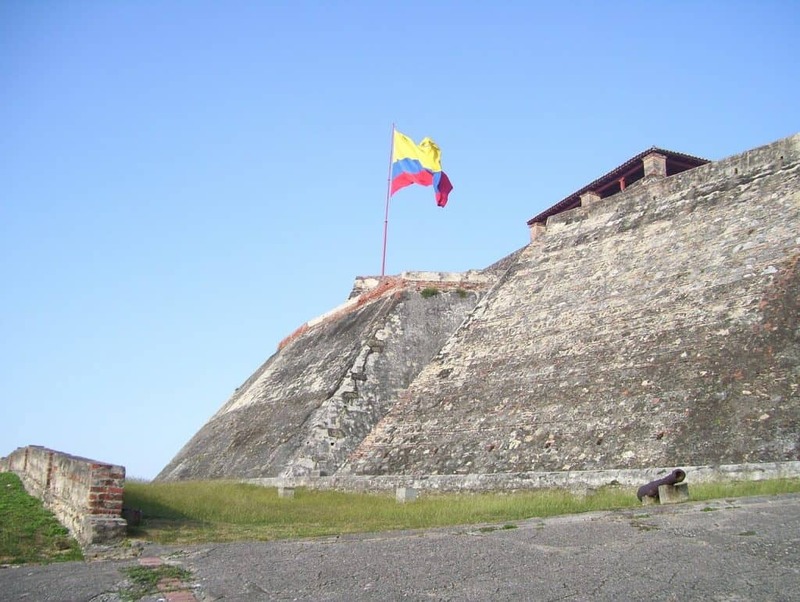 18 – The British attempted to take control of Colombia through Cartagena in 1741. The British Armada attempted to take four Spanish ports in the Caribbean to take control over the Americas, which included Cartagena. 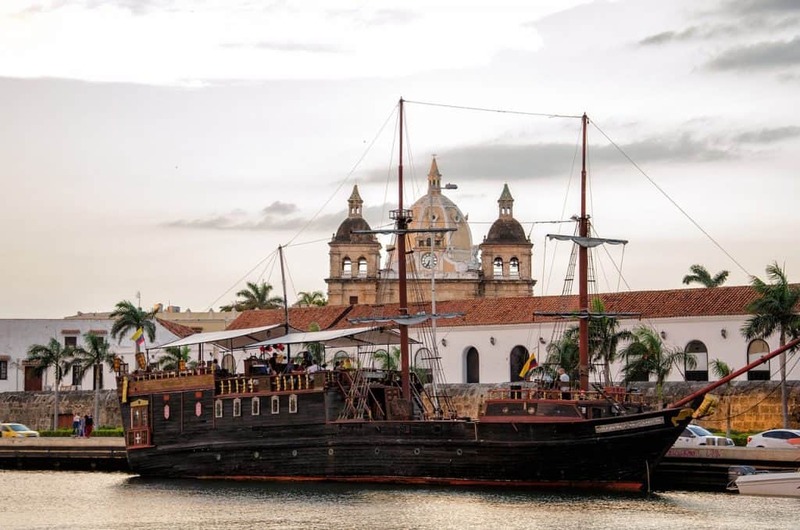 Cartagena was invaded by 186 British ships but they made a series of errors and many of the armadas were taken down by disease. The British failed to take control of the city and left the area. If the British had succeeded Colombia could have become a British colony and English could have been the official language. 19 – Colombia has over 50 Caribbean Islands including San Andres, Providencia, Santa Catalonia, the Rosario Islands, and San Bernardo Islands. 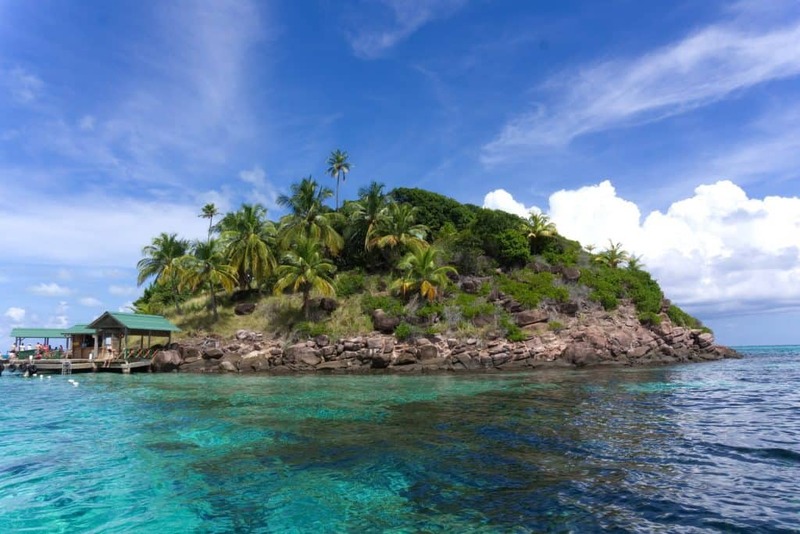 Each of them offering something beautiful, from snorkeling and diving spots to pure white sand and turquoise waters. 20 – Colombia is often misspelt around the world using a ‘u’ instead of an ‘o’, as it is with British Columbia. Colombia, not Columbia is a slogan in the country, as many Colombians get offended with the misspelling. Even big brands get the spelling wrong, with one of the most noticeable being Adidas with their football shirt campaign, where they created billboards around the country and the world with the incorrect spelling for the country. 21 – As shown and portrayed in Narcos, in the 1980s, Pablo Escobar was in control of 80% of the supply of cocaine in the world. He made the Forbes list of richest people in the world for multiple years. 23 – It is a national law that every day at 6am and 6pm, radios, television, and public areas have to play the National Anthem. 24 – Colombia has 18 national public holidays, the second highest country in the world after India. These national public holidays vary from religious holidays to celebrations of significant events in Colombia’s history. 25 – Former President of Colombia Alvaro Uribe survived 15 assassination attempts, before becoming President of Colombia. Colombia has many tourist attractions including the Monserrate, La Candelaria (Bogota) the streets of Cartagena, the coffee triangle, beautiful islands, museums, art galleries, beaches, humpback whale migration, Cocora Valley, coffee farms, Guatape, Penula Pena, the Lost City, the salsa dancing in Cali, town of Barichara and much more. I hope this article has taught you more about Colombia’s present as well as its past, with an insight into the real Colombia and all of its natural beauty. Colombia truly is a beautiful place with large number of things to see and do, unique wonders and one of a kind adventures waiting to be discovered. Sharing is caring! Pin this to save for later. Awesome facts! I had no idea that Columbia has too many UNESCO sights! I would like to check out the national parks. Which ones have you been too? There looks to be such a lot to see in Colombia – I’d really love to visit. I didn’t realise there were so many Caribbean islands that were part of this country. And, I’d love to learn more about my favourite coffee! The Caribbean Islands are spectacular. Another fact about Colombia is that it is the only country to have coast on both the Caribbean and Pacific Ocean. And of course beautiful white sand beaches. We have never heard of the Tejo game, it sounds quite interesting! Neither did we know that the national anthem needs to be played on the radio, the TV and in public places every day at 6am and 6pm! It’s good that you mentioned that the country’s name is actually Colombia and not Columbia, although in some languages it’s written with a “u”, such as in Luxembourgish (and German too) it’s “Kolumbien”. 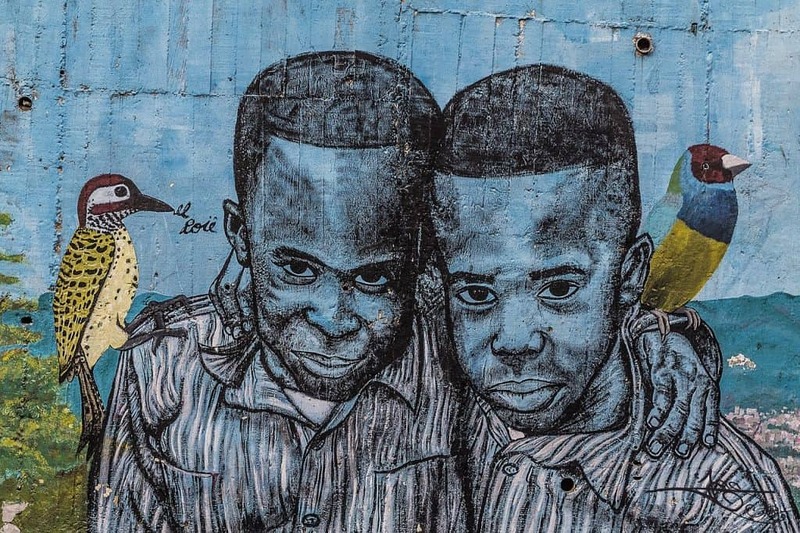 Thanks for this great post which inspired us to visit Colombia someday! Tejo is so fun. I played it in Salento and was able to make the gunpowder go off! We only had one quick cruise day in Columbia. So this was a fun way to learn more. 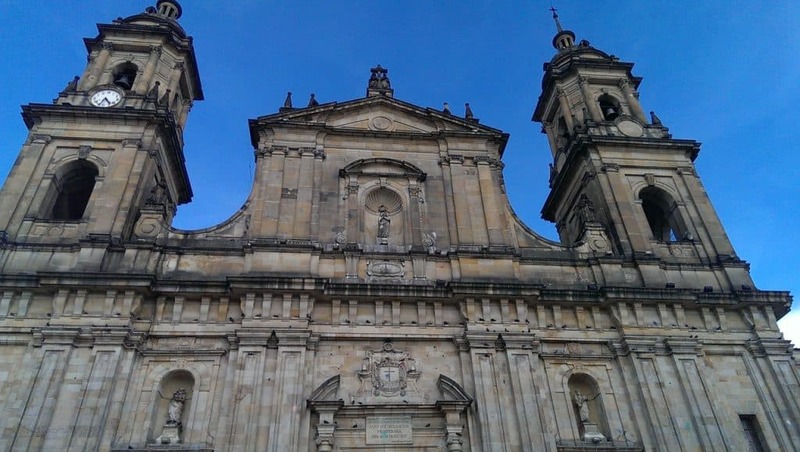 It is great that there are 9 UNESCO sites in Columbia. A great draw to bring tourists back. We did love our coffee in Columbia. I would love to do a farm tour. Fascinating to read that there are hippos in Columbia that were released from Escobar’s zoo. A bunch of new facts for me. One faact what got me was that Columbia has fifty islands in the Caribbean. That threw me and I am a map nerd! Havent really looked at this region of the world yet and is one I seriously want to explore soon. The beaches on the islands are incredible too! Oooh thanks for the fun facts! I was never that familiar with Colombia until I watched this trending series on Netflix haha. Ever since, I wnated to visit this place. National anthem played twice a day is so impressive. I hope I can visit some day. You had me at 9 UNESCO sites and those islands. I’d love to visit but want to be careful too. As I live near Tijuana I know that media can make things difficult for countries by rattling paranoia. If a chance arises I’d definitely go. These are interesting facts for sure. It seems like Colombia is full of differences throughout the country. Before I was married, I used to date a DEA Agent who was on the team hunting Pablo Escobar. I think he was there when he was captured or brought to the States or something. The stories were crazy. I think Colombia would probably rather have people know of it’s beauty though. I would love to spend a month exploring. I bet the snorkeling is fantastic, with all of those islands. I’d love to visit Colombia! Crazy that Bogotá is such high altitude, I wouldn’t have known. Did you have any headaches or alt sickness there? The Coffee and beaches would be a wonderful experience as well. Cool to think 10% of the amazon is in the country alone! Great read. This was a well paced and fun article. You did a great job. I never knew that Escobar hippos were running amuck in the jungles of Colombia (no “U”). I wonder if they are able to reproduce and if there will be Amazonian hippos someday. We have feral monkeys running through Florida that came from six original monkeys in a 1930’s attraction on Silver Springs. Very inspirational post indeed. You gave me some good insight into the history of Colombia, which I knew very little about. I had no idea the country produces around 50% of the Emeralds worldwide. I’d really love to visit it someday. It seems like I didn’t know a whole lot about Colombia. For instance, I didn’t know that the national sport of Colombia is Tejo (I’ve always thought it was football). It’s fascinating to know that there’s gun powder involved. While Colombia’s coffee is legendary, I didn’t know that it also produces 50% of the world’s emerald! I love going to beautiful islands and beaches (who doesn’t) and I also like to snorkel. So with over 50 Caribbean Islands to explore, I can totally see myself visiting this amazing country. How fun reading all these facts about one of my favorite countries. I’m so happy for Colombians that the country is slowly getting rid of the stigma and is being cherished for what it really is: Great in history, nature, and….the lovely people! Wow! You covered alot of facts about Colombia Nicole! I live here in Colombia and I’ve even learned some new things in your post. I hope you come back for a visit – and if you do please let me know, there are lots of Peace projects going on here that are hoping to show the progress being made here (such as in Medellin) so we can show travelers more about the creative and innovative projects as opposed to the unfortunate fixation travelers have about learning about Pablo Escobar. Hope you enjoyed your time here! I loved my time in Colombia. I cannot wait to return! Interesting that Columbian Spanish is the most neutral and easiest to understand. The national game, Tejo, actually sounds pretty dangerous – I mean, playing with gunpowder?! And how cool is it that they play the national anthem twice a day! (I wish I could hear the US anthem more often!) Lots of interesting facts — thanks for sharing! It’s funny when I went to Colombia almost a decade ago, I didn’t know about the 90’s drug war! Narcos really did introduce Colombia to the world and because some people think traveling to Colombia is dangerous. I love Narcos but I am very happy I didn’t know a lot about it when I visited. Otherwise, I would’ve skipped Colombia too which will be a shame – it’s a fantastic country!!! !